If youâ€™re looking for fresh YouTube content, you might want to check out #UnPolicedExpressions. Follow Nyiko Shikwambane and Naledi Chirwa as they navigate leaving the university space and entering the work space as women who are dating, coupling, cohabiting and coupling in South Africa. We spoke to Shikwambane about the channel and itâ€™s first episode which addresses dating while being a feminist. â€œThe concept behind â€˜#UnPolicedExpressionsâ€™ is the modern day â€˜I write what I likeâ€™,â€ Shikwambane said in an interview with The Daily Vox. In the series, the pair plan to speak quite broadly about anything from politics, pop culture, economics, to education and other topics that affect them. However, Shikwambane said they want to be current affairs-oriented. â€œWe do want to respond to real matters in real time,â€ she said. Shikwambane said their content will speak to the South African political climate. 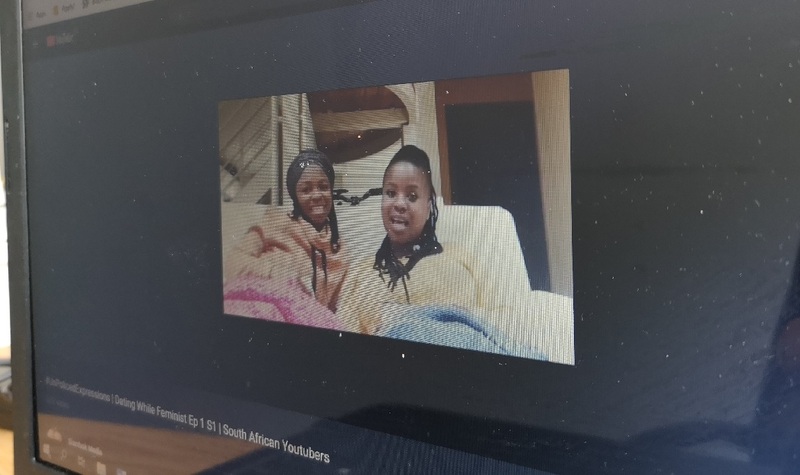 In the future, viewers can expect videos that unpack promises made to women in the run up to the 2019 elections and also The Total Shutdown happening on August 1. More than that, Shikwambane said the two would like to make videos based on topics that affect their audience. But this will take time. â€œWe need to figure out our audience, that will influence the content we produce,â€ she said. The channel will not be limited to feminist and womenâ€™s conversations. She acknowledges, however, that as people who identify as women and feminists, their positionality informs their worldview. â€œThere isnâ€™t enough media out there that thinks through a gendered or feminist lens,â€ said Shikwambane. The videos are recorded and edited on their cellphones. â€œItâ€™s completely unscripted, no studio or make up – its just as we are: plain, naked, simple, real,â€ Shikwambane said. 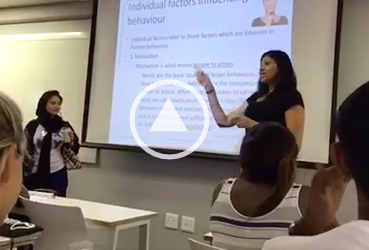 A huge part of the videos is that the presenters do not censor themselves and allow for free expression. â€œThe idea is to do everything in one take, to keep the mistakes and the problematic statements and call ourselves out in the edits,â€ she said. They want to engage with the â€œproblematicnessâ€ of political identity or positionality. There is no such thing as complete political expediency or diplomacy in the world we live in, Shikwambane said. â€œWeâ€™re all problematic to someone; weâ€™re all problematic in some spaces and a martyr in others. Even your woke feminists are problematic,â€ she said. The first episode is about dating as a feminist. â€œIt was an ambitious task to see if we could put together our experiences dating as feminists and the issues that come with that,â€ Shikwambane said. They wanted to document where the contradictions and grey areas lie and start a discussion about it. â€œWe thought a lot of people who identify as feminists would be able to relate,â€ she said. Feminism is an extreme sport, explained Shikwambane, because feminists are constantly critiqued for their world views and expectations. Feminists are constantly policed. Everyone who does not identify as a feminist has their own expectations about what a feminist should be, do or think, she added. So far, the two have been happy with the response to their first video. Their initial target was 100 views on the first day but they had surpassed 250. Both of them have been receiving comments about the video privately on social media and on YouTube. New episodes will be up on their YouTube channel every Wednesday. â€œOur next episode is about negotiating salaries as women,â€ Shikwambane said. She hopes that it will open up discussions about things like how women undervalue themselves and have imposter syndrome in the boardroom. You can watch the first episode of #UnPolicedExpressions here. Chat about the video to Shikwambane (@Nyiko_Shik) and Chirwa (@NalediChirwa) on Twitter using the hashtag #UnPolicedExpressions.